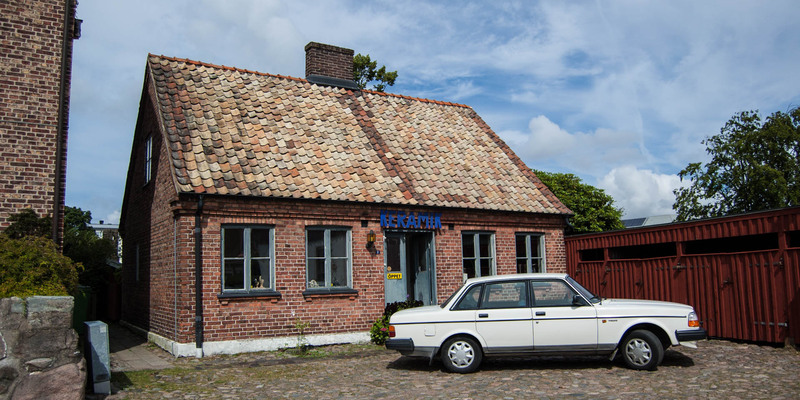 The design studio of ceramic artist Sofia Nilsson is situated in a small brick house at the square in front of the former courthouse (Tingshuset) in Ängelholm. 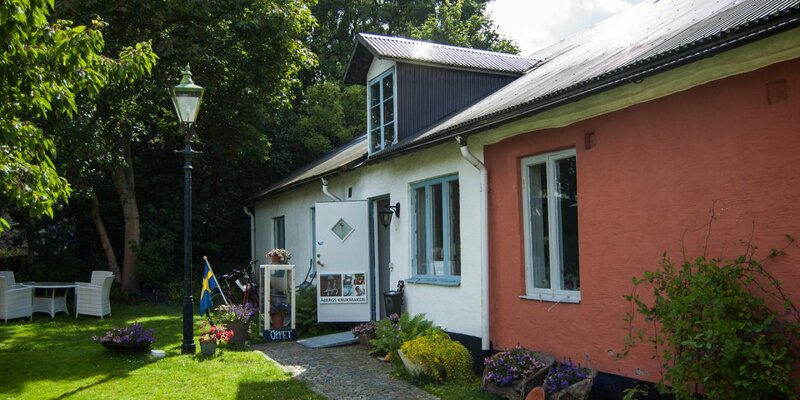 In two rooms of the little house, by the way the former home of the prison guard of the former remand center, Sofia Nilsson presents the works of her artistic work since the early 1980s. Her repertoire includes purely decorative items as well as some everyday objects, such as cups, bowls and candlesticks. Both artistically and imaginatively in a variety of shapes and colors, often decorated with gold or silver glazes. 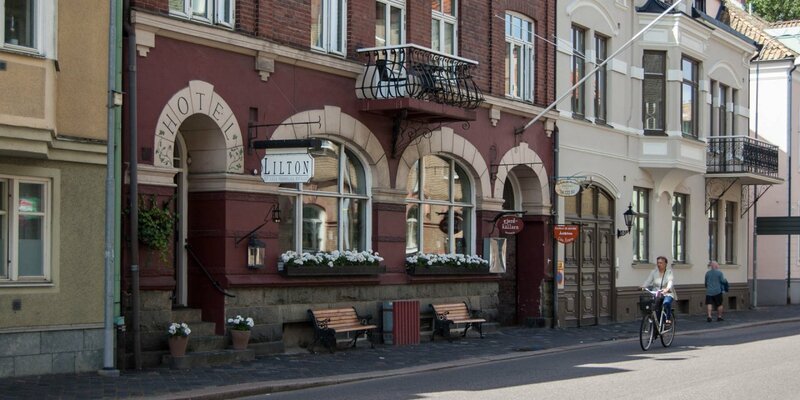 Sofia Nilsson is also very famous for the production of the Lergök (clay cuckoo), the trademark of Ängelholm. This is a simple and old form of the ocarina, a small wind instrument made of clay, in the shape of a bird. 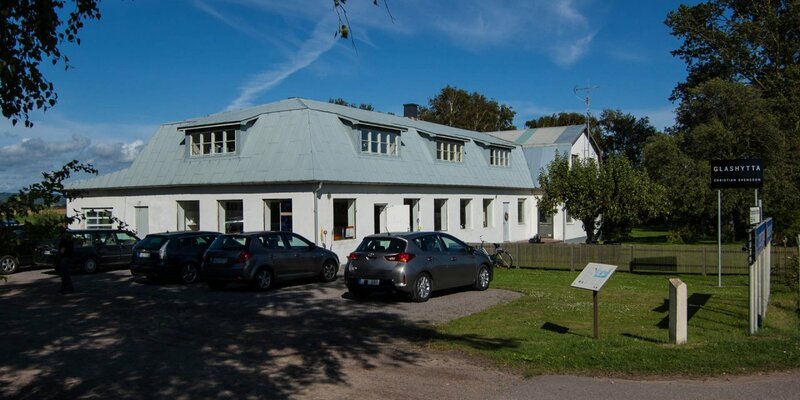 Ängelholm was one of the former centers for the production of this wind instrument, and even has its own Lergöksorkester (clay cuckoo orchestra), whose instruments are from the hand of Sofia Nilsson.